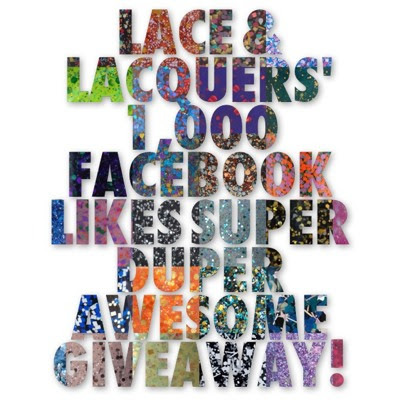 Lace and Lacquers: [CLOSED] Lace & Lacquers' 1,000 Facebook Likes Super Duper Awesome Giveaway! [CLOSED] Lace & Lacquers' 1,000 Facebook Likes Super Duper Awesome Giveaway! First and foremost I would like to thank all the wonderful ladies who contributed to this giveaway! -> Winners have *48 HOURS* to respond via e-mail, I am emailing the address you provide. If no response, I will choose another winner. -> All entries will be verified, duplicate entries and cheaters will be removed and disqualified. Please enter in the Rafflecopter widget below! Ohhh. I like that nail foil set. I want 'Kim Grimes to win she sent me!! Yay! Congrats :D and thank you for such an awesome giveaway! I am honestly super stoked about any of the indies, I am so curious about all of the different lines! The wet n wild chrome minis. Sea Dust has my heart! Seriously anything would make me happy! I'm polish ignorant! I have been wanting sea dust forever!!!!!!!!!! I would love #1 most of all! Awesomesauce giveaway! I'm leaning towards #1, but since I don't have any indies I feel like I should pick one of those. ;) Good luck everybody! Oh my gosh Lacey this is amazing! I want Prize #2. You deserve that 1000 likes. i think they all look great, but i have been seeing shimmer swatches everywhere and would love to own one! So many wonderful gifts. Thank you to everyone who donated the polishes to give away! I think I'd like the chrome minis or the Shimmer polish the most. Prize #1! Love them all though! I love #2 and 4. 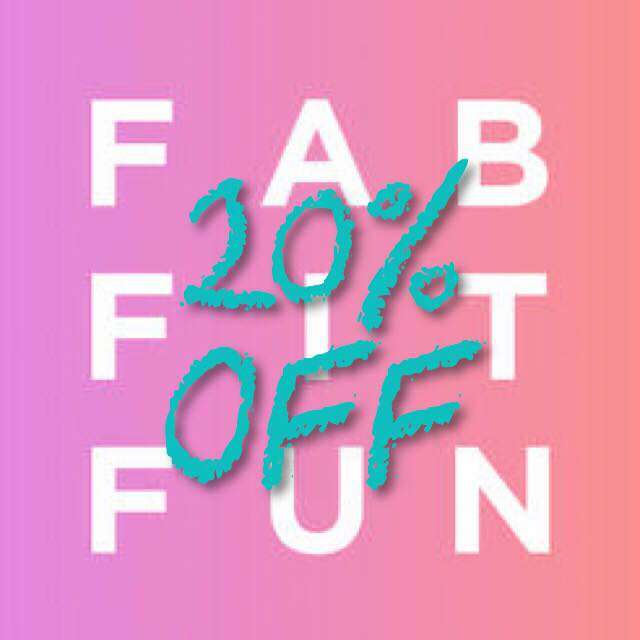 I love makeup your face! Best ever! I think I'm most interested in #3! I love the variety of colors! Thanks! Amazing prizes, but I think 4 is my favorite. Great giveaway Lacey, they are all amazing prizes! I'm an indie whore so of course I'd love any of those!! I've had my eye on a few of them for a while now! Good luck to everyone! Any would do :) 2 and 5 look great! Wow, there are so many awesome prizes it's so hard to pick one! But I've been dying to get a Shimmer polish so I think I'll choose it, number 7. Thank you for having such an awesome giveaway and congrats on 1000 likes! hard to decide.. maybe shimmer polish lorene? #6, but I'd be excited to win anything! Gosh what an amazing giveaway! I'd love to win any of the prizes but I covet the most the Wet n Wild Chrome set or any of the indies. I don't own any yet. Thank you so much for the chance! I think i would go for #1, #4, #6 or #7. Prize #1 is amazing! thanks for the chance! Prize #1, 2, and 8 and 9 are what I'm likin' the most! But truly they are all awesome! Most excited for...hm...Prize 5 and Prize 9! They all look really fun, but because I have to choose...(reaches into hat and pulls out a number)... Number 6! I don't know if i can choose a fave, they all look awesome!! Prize # 4... I love foils! They're all wonderful...how can I choose?! Too hard to choose Ms. Lacey. I have been wanting Sea Dust for a while, Shimmer Polish looks soooo pretty and Zombiefied, Make up Your Face and Polish Addict polishes look AMAZING. I don't own any Indie's so I would be thrilled with any!! Oh 5-9 would be awesome!! Thanks for the chance! First of all great giveaway, thanks! i think maybe #4, no wait I mean #2, or could it be #8, any of them would be wonderful to win! all of the above?! LOL!!!! 5? i think LOL! I really want 5 or 7!! Although, any of them would be great. Thanks Lacey! Who can choose? The Wet n Wild and prizes 5-9 caught my eye, though...:) Thanks! Yay 1,000 fb likes, congrats chicky!! I currently don't own any indie polishes (I know, I know, I live under a rock :) so any of those prizes would be fab!! Prizes 1, 4 and 6 look amazing! They're all great! #2 is my fave, I have looked all over for those polishes! LOVE prizes #1 and #4 the most. But all are great. 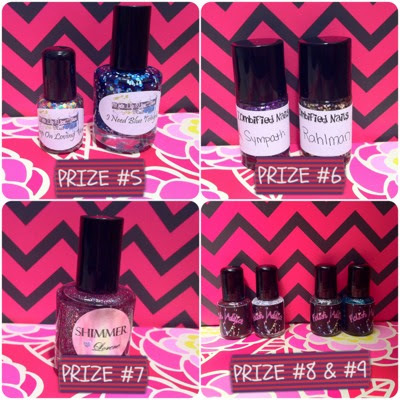 All of the prizes are awesome but prize number 7 is really catching my eye :) I love shimmer polish! o0o0h definitely either #4 or #9!!! but they are all AMAZING!! congrats on the followers! Great giveaway...thanks and congrats!! I would love to win either 6, 8 or 9!! #7 and #9! Thanks for the chance! Thank you for this giveaway! Prizes #3 and #5 look good. Wow, those are all amazing prizes! I think I might love #1 slightly more than the rest. #5 or #6! Thanks and Congrats!!! I honestly could not choose. Maybe 2 3 5 6 7 8 9 haha. Amazing prizes and thanks for the amazing giveaway! I dont know which I'd want more!! any prize, but especially 1!! I would love to win the first prize!!! Thank you for the giveaway!!! Either #1, #5 or #6! I can't decide! What an awesome giveaway! It is hard to pick just one! But I narrowed it down to 1 or 4????? Thank you! Thank you so much, great giveaway! Number 1 looks fantastic! Probably 5,6,or7 they are all so cool! Lacey Congrats! I love getting your emails everyday. My favorite things about your blog are the modern length you keep your nails. They are impeccable! I don't personally (my opnion) think swatches and nail art looks as great on dragon lady nails. You do an amazing job! As for a prize, I never win anything, I just enjoy reading all the nail blogs. I would be thrilled to win any prize. kudos to you! Oh I can't choose just one!!! Love them all! Prize 2, I've been dying to nab their chrome collection! Would love to win the Shimmer (don't have any yet) or the nail foils, those look like they might be cool. :) Thanks Lacey! Prize #1 looks like my fave. :) Great giveaway! Congrats on all the likes! I would love prize 5 or 6!! What prize are you wanting the most? 6 or 8...yeah, I like indies!! hello I'm following you enjoyed the blog and take the opportunity to partecipate in the draw that is a delight .. I'll always go to see what's new ..
toss up between prize 1 and 7. But if I had to pick, probably prize 1 :-) :-) WHat an awesoem giveaway, very kind of everyone involved, Thank You!!! I do have a question to ask you. If I don't have an IPhone, etc...I cannot join Instagram. Do you know if this is true? If this is true I cannot follow you or anyone on Instagram. That actually puts me and others at an unfair advantage on giveaways that give points to follow them on Instgram. I wonder how this can be fixed so we on all on an even par when entering? 5,6,7,8, or 9 :) I LOVE indy polishes!! I want the Shimmer Polish !!!!! I like the first one the most, but all of them are great! THank you and congratulations! I love all the polishes! Prize 1 or 3 :) they're all so awesome though! I'm gonna go with Prize 1 :))! love it! I'm most excited about the Prize from Mani-Curiously: New LA Colors Color Craze Extreme Brights 7 polish set & PRIZE #6: Prize from Zombified Nails: Full size Zombified Nails Sympath and Rahlman ! I'm in love with the #3rd price! I'm most wanting one from prizes 5-9, but they are all great! I'm most excited about Prize #1. It has a couple of the polishes that I've been lemming!! I don't have any Orly so #1 would be awesome :) thanks for the giveaway! I would love any of the prizes, they are all great! I love all prizes so I cant Pick a favourite! I'd like to win prize #1 or prize #2 please. These are awesome! I love prizes 8 & 9! Awesome giveaway, SO MANY PRIZES!! I'd love prize number 7, the Shimmer polish! :) thanks for the giveaway and congrats! Congratulations, and thank you for including us international gals! I can honestly say i would be ecstatic to win any of these amazing prizes! I would love to win prize two the most but they are all awesome!!!!! thanks so much for the chance to win! These are all amazing! I can't pick just one! Thank you so much for the giveaway and thank you to all of the other donors! Prize number 1, but all are awesome! 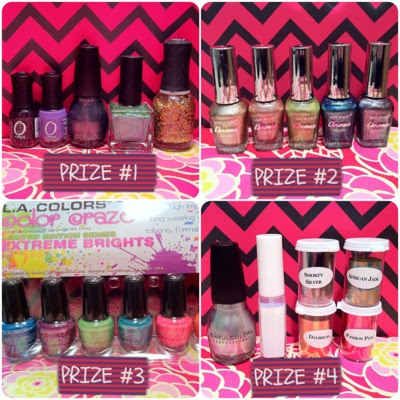 Prize from Mani-Curiously: New LA Colors Color Craze Extreme Brights 7 polish set!! OOOO #7! Shimmer Polish Lorene! !